My Dad passed away in November of 2012. There isn’t a day that goes by that I don’t think of him. I still haven’t deleted him from my Skype contact list. (We Skyped each other on Sunday afternoons) I’m reminded every Fathers Day of how much I’ve lost but also of how much I gained. I have my memories to comfort me. I’m glad that I was able to kiss him on the forehead and tell him that I loved him as I left his hospital room. The last words I heard him say was that he loved me too. 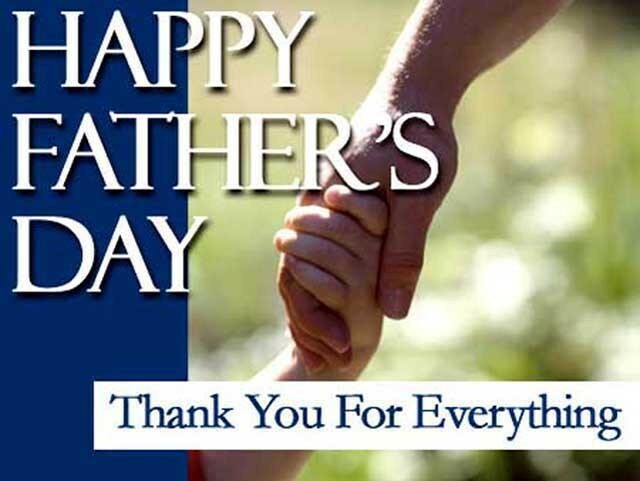 If your father is still alive don`t miss the opportunity to let him know how much he means to you. The truth is we don’t get to pick our Dad. I lucked out. I got a Dad who loved me unconditionally no matter how many times I screwed up – no matter how many times I might have disappointed him. I knew I could always count on him to be my soft place to fall. I could call on him for advice – to give me guidance – to be a strong disciplinarian when I needed it but also loving and caring and empathetic when the situation warranted it. I knew he`d always be in my corner when I needed him. Fatherhood doesn’t come with an instruction manual. You learn in bits and pieces as you go along. Experience is a great teacher. You learn what to do – but more importantly you learn what not to do. I’m thankful my Dad was around to teach me how. I didn’t learn all the lessons as well as I could have – or should have – but I did the best I could. Hindsight is 20-20. Did I make mistakes – absolutely. Did I learn from them – you bet. My son is proof positive that things worked out in a good way. He’s a great Dad to his daughter. The legacy passed down from my Dad to me and from me to my son will live on. Thanks Dad. Thank you for everything. I know you are still there looking out for me – guiding me – and pointing the way. I love you. Happy Fathers Day.